The practice questions and answers will help you prepare for your driver’s knowledge test, or simply refresh your knowledge of common driving rules when you already have a permit or driver license! When you miss a question on a practice test, you should look up the answer in the PA Driver’s Manual. Working actively with each question will help you learn faster and boost your confidence. The official Driver’s Manual is necessary for understanding the licensing process and help you learn Pennsylvania laws and common rules of the road. 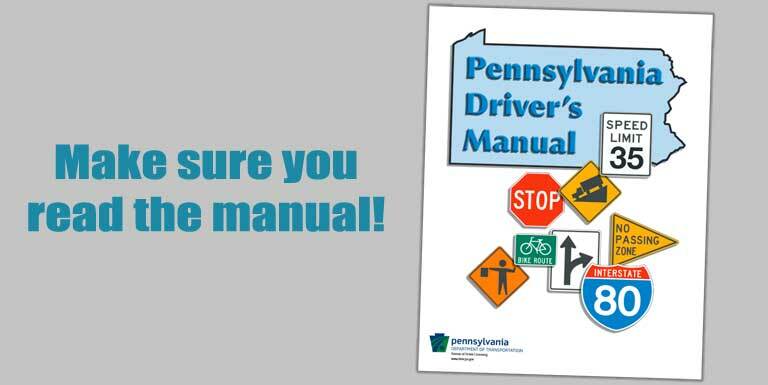 Even after you have got your license, the manual provides valuable information on PennDOT policies, new driving laws, and safe driving tips. Remember, driving laws and best practices change over time. Keeping knowledge fresh helps you stay safe on the road. 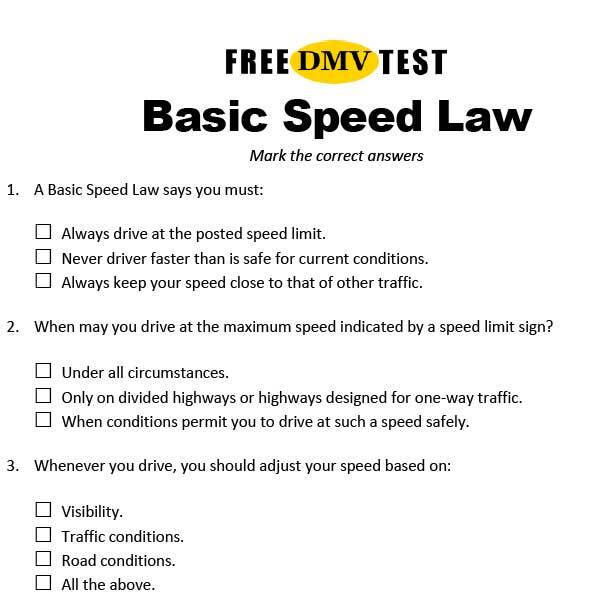 Get some more study tips here: Can You Learn How to Pass the DMV Permit Test? Questions on you permit exam are drawn from the official manual. All answers are found in the manual. Make sure you read it. The knowledge test has 18 questions. The passing score is 84 percent, which means you must correctly answer at least 15 questions. If you miss 3 questions or more, you will fail the exam. Should you fail the knowledge test, you must wait at least one day before trying again. Don’t be put down by this, just go through the manual again and aim for 100% on the practice tests. 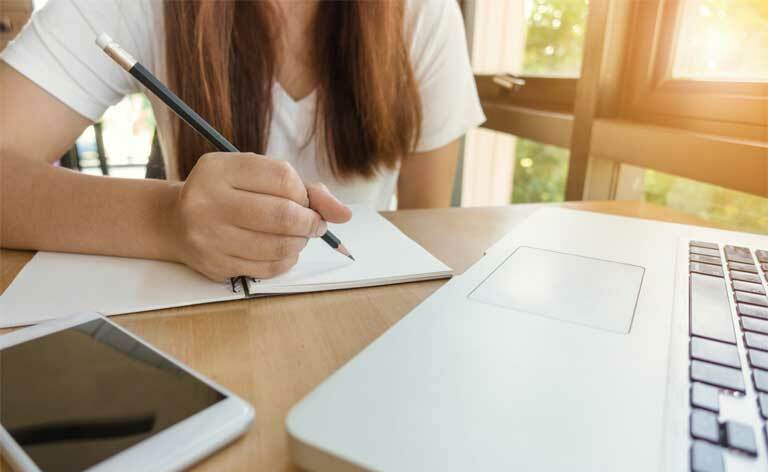 PennDOT offers the Knowledge Test in Spanish, Arabic, Chinese (Mandarin), French, Hindi, Korean, Russian, Ukrainian, and Vietnamese languages upon request. 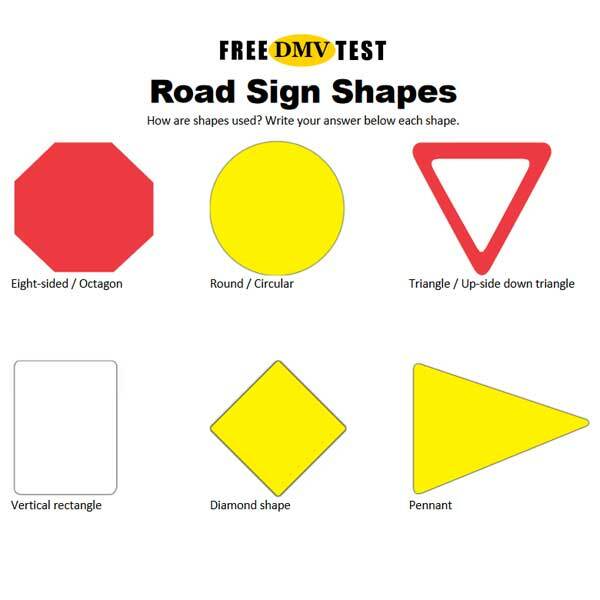 If you feel uncomfortable with taking the test on a computer, DMV can offer oral tests. Just ask. Just like most states, Pennsylvania has a Young Driver Law that allows PennDOT to license new drivers through a three-stage program. After passing a physical examination, vision screening and knowledge test, PennDOT issues a learner’s permit. With a learner’s permit you can begin the behind-the-wheel practice. When you drive, you must always be accompanied by a licensed driver who is at least 21 years of age or a parent, guardian, or spouse who is at least 18 years of age. You must hold your permit for six months. During this time, you must get at least 65 hours of adult-supervised training. A learner’s permit comes with several restrictions. They include a nighttime driving restriction and a passenger limit. Make sure you follow all these restrictions. When you have practiced driving for six months and completed all learner’s permit requirements, including a road test, PennDOT issues a Junior License. This license also has several restrictions. You cannot drive between the hours of 11 p.m. and 5 a.m. Exceptions for employment and volunteer or charitable service will apply but remember that you must carry proper documentation that shows your need to travel at night. Passengers restrictions also apply. You may not carry more than one (1) passenger under the age of 18 who is not an immediate family member unless one (1) of your parents or guardians is in the vehicle with you. After the first six (6) months of driving on a junior license, the limit is increased to no more than three (3) passengers under the age of 18 who are not immediate family members unless one (1) of your parents or guardians is in the vehicle with you. You will typically get an unrestricted driver’s license at age 18. 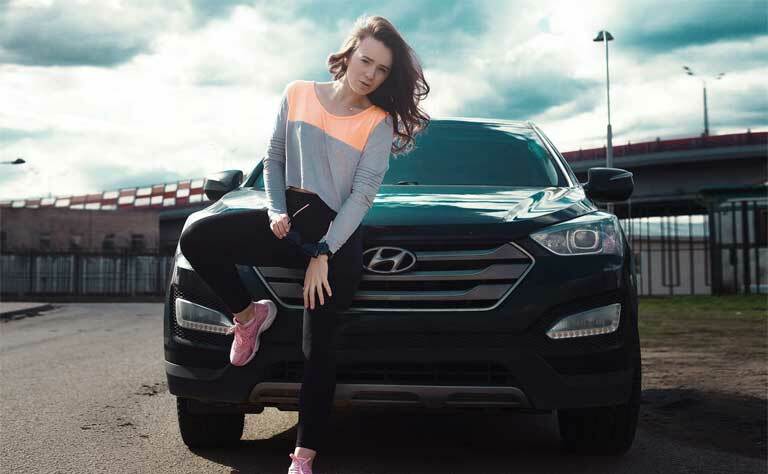 This license provides full driving privileges to teenagers who have progressed through the graduated system and have an established history of safe driving. If certain conditions are met, some young drivers may qualify early for a license before age 18. Learn more about Pennsylvania Young Driver Law here: PennDOT fact sheet. There are also good quality Pennsylvania Sample Tests on YouTube!